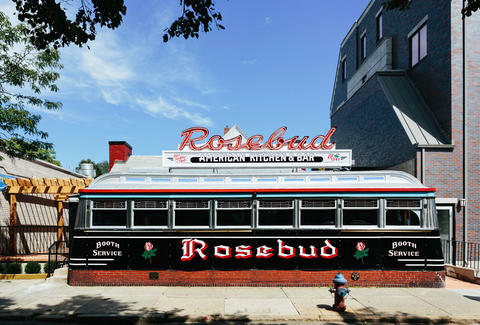 In 1941, the Rosebud Diner opened on Sumner Street, having been built for the Nichols family by the famous Worcester Lunch Car Company, who finally sold it off in 2013. New owner Joe Cassinelli and chef John Delpha updated the space while keeping the signature elements, and now serve a Pan-American menu featuring classics like a griddled cheeseburger made the proper way with house “yellow cheese”, not-so-classics like an Asian BBQ hog head with gochujang BBQ and kimchi, plus throwback canned beers and even Night Shift Brewing’s Belgian-style pale ale aged in an old Four Roses barrel. And in a true tribute to the diner roots: don’t forget about their ridiculous blueberry crumble and banana cream pies. 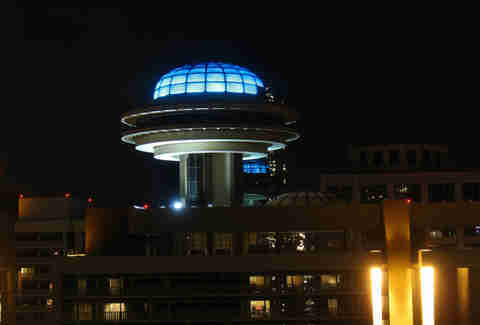 A fixture at the Hyatt Regency Atlanta since it first opened its doors in 1967, the iconic rotating restaurant was closed in August 2004 and remained untouched until plans for renovation were approved in 2013. The restaurant reopened in June 2014 and now features four distinct dining areas that are meant to mimic a home (an open living room with a communal table, a living room, a library, and a bar). And because you don’t go to a rotating restaurant to look at your date, every seat in the dining room still comes with an unparalleled panoramic view of the city and of the new open-kitchen. Kim’s was a landmark in Waco, TX for more than 50 years until the McLennan County Health District shut it down in mid-May 2013 for, um, issues. The iconic space was quickly scooped up by Woody and Darla Page who rehabbed it, restoring the iconic roadside sign, adding a jukebox, along with new booths and kitchen equipment, and reopened October 2014 as a 1950s-style diner serving up chicken-fried steak, plate lunches, and other classics. Originally opening in 1992 as the brain-child of Emilio and Gloria Estefan (ED NOTE: why didn’t they call it Miami Food Machine?!? 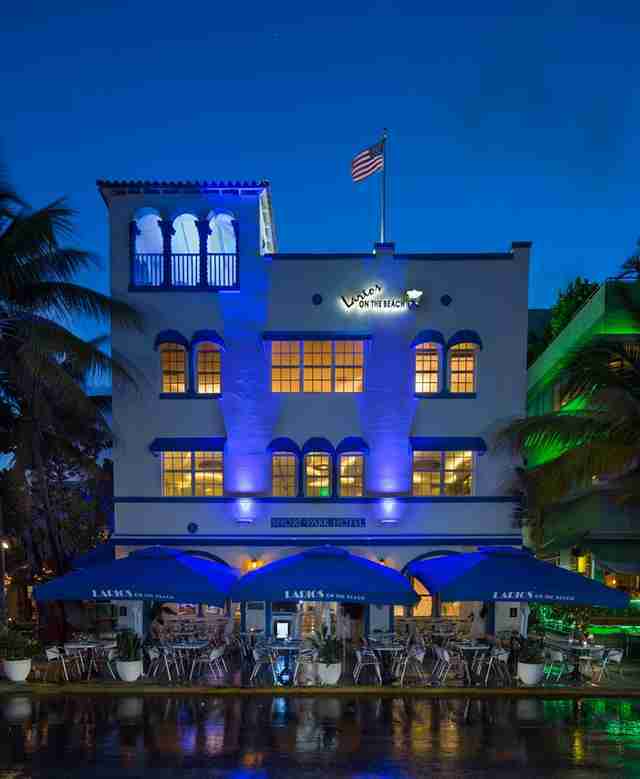 ), Larios on the Beach was a Cuban food fixture in Miami. But, after years of wear and tear (and possibly guilt for not calling it Miami Food Machine), the Estefans decided it was time for a change and closed in spring 2013 so that the space and menu could undergo a total transformation. The restaurant reopened in May 2014 and now features multiple mosaics and sculptures from Miami artists, plus a new menu with some healthier options, as it’s much harder to shake your body and do the conga if you’re just subsisting on heavy Cuban food. Frank and Concetta Stango opened Stango’s in Glen Cove’s Orchard neighborhood in 1919 looking to fill a culinary void for the city’s Italians. In December 2012, after years of being run by the Stango family, a group of about a dozen partners from the neighborhood pitched in and bought the restaurant with the intention of breathing new life into it. The restaurant closed for three months, reopening in March 2013 under the name “Stango’s at the Orchard”. The new space features walls that display black and white photographs depicting the restaurant’s history and a menu overhauled by chef Gabriel Massaro to include updated versions of the classics. 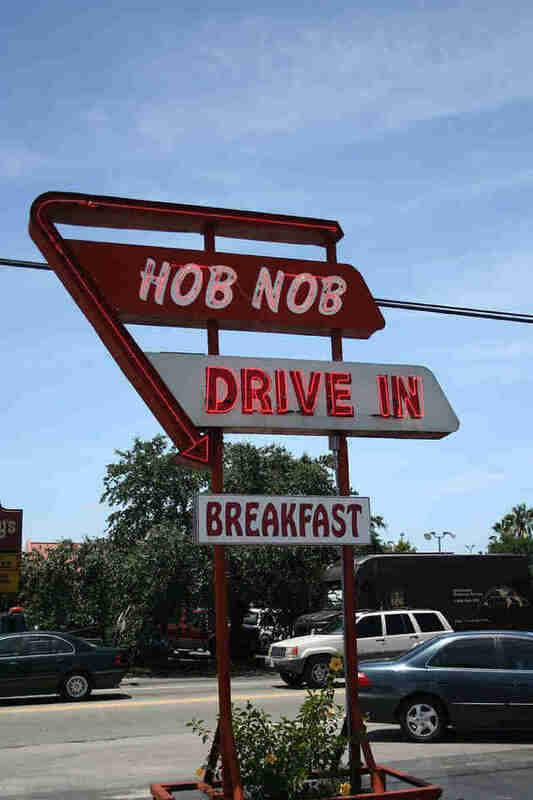 In 1957, Mr. and Mrs. Jack Sohner opened the Hob Nob Drive-in, making it Sarasota’s oldest drive-in. The Sohners helmed Hob Nob until 1991 when Cary and Debbie Spicuzza took over and maintained the place until 2013, when it became obvious that the small renovations here and there weren’t enough. That year, the Spicuzzas announced a $500,000 facelift that included a new roof, awnings, seats, fans, and a wall to close in the outdoor seating area, so people outside the wall can’t steal your signature Hob Nob Double Cheeseburger. After 52 years of serving their signature dogs to locals and skiing Colby kids, Bolley’s Famous Franks closed its doors in July 2014, and everyone was sad. But then a local couple bought and reopened the famous spot with an expanded menu under the name “Bolley’s Famous Franks and Gourmet Burgers”, adding burgers with unique toppings, like blueberry BBQ sauce, and everyone was happy again. The famous greasy-spoon originally opened in 1946, serving diner fare until the space was abandoned in 1976. It was around that time that Jack Doenias, Carl Laanes, and Richard Ruskay stepped in and converted the space from grungy diner to landmark restaurant. 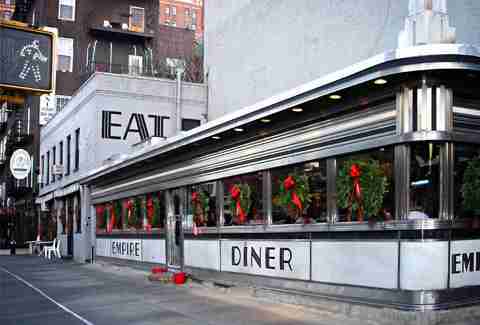 The diner quickly became a symbol of the Chelsea Renaissance for its fusion of highbrow and lowbrow. And though it has changed hands several times over the years before closing in 2010, this January, Chef Amanda Freitag stepped in and reopened the restaurant with a sweet new menu and look. Try the open-faced beef brisket. This down-home restaurant specializing in Southern comfort food opened its doors in 1959 under the guidance of Inez Hill and Louise Hudson (known to their regulars as Mama Hill and Mama Louise). The restaurant was made famous by its lineup of musical regulars (including The Allman Brothers, Molly Hatchet, and the Wet Willie band) and was a known meeting place for civil rights activists and GA politicians. In order to ensure famous people in the future still show up in Macon, H&H closed during 2013 winter to undergo renovations, and now the interior looks just as fine as their fried pork chops and mac & cheese. 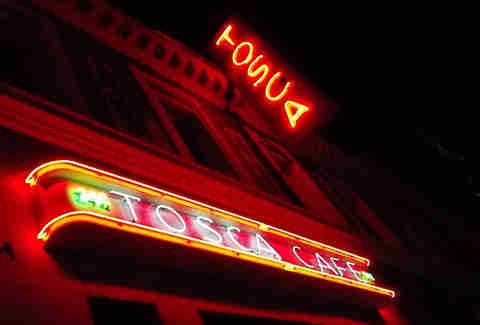 A legendary spot in SF’s North Beach 'hood that’s been around for 95 years, Tosca hadn’t served anything but Manhattans and cigarettes for half a century, until April Bloomfield and Ken Friedman of The Spotted Pig and The Breslin came in and added an open kitchen, and restored it to a glory it had probably never known. Now Tosca is one of the most lauded and popular spots in the city, and it's perpetually packed with people wanting Bloomfield dishes like pressed pig ear and rigatoni with braised pork shank. For years the Canterbury Alehouse was the go-to watering hole for Seattle residents looking for the perfect dive bar, before going out of business in 2013. Wanting to save a neighborhood institution, the men behind local Neumos and Sam’s Tavern bought the space, and after extensive renovations to restore the space to its original glory, it reopened in the summer of 2014 with a new menu, though don’t worry, friends: they’ve still got Irish nachos. 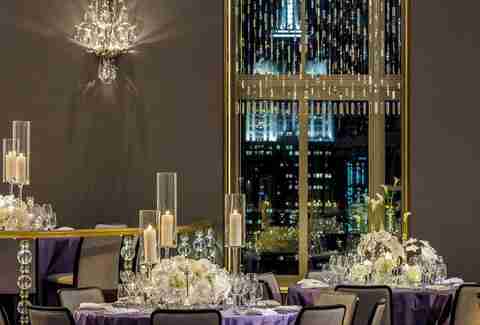 Since 1934 people have been eating and dancing and doing borderline legal other things in this landmark on the 65th floor of 30 Rockefeller Plaza. But, like most things that get old, it needed some serious plastic surgery. After a five-year lapse, in 2014, it was painstakingly restored, the windows increased in size, and the rotating dance floor put on new rubber wheels. Go there for brunch. Founded in 1936 by two enterprising women, the Pine Tavern has been long known as “the place” to dine if you want to treat yourself in Bend, OR (and who in Bend, Oregon doesn’t?). In 2014, Bill McCormick (of the McCormick & Schmick’s empire) took it over and dolled up the dining room, so it now features five intimate dining nooks with curtains that can be drawn in case treating yourself actually consists of eating like a pig.